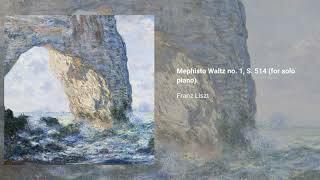 The Mephisto Waltzes are four pieces by Franz Liszt. Of the four, the first is the most popular and has been frequently performed in concert and recorded. Subtitled Der Tanz in der Dorfschenke (The Dance in the Village Inn), the first Mephisto Waltz is the second of two short works he wrote for orchestra. While the work preceding it, Midnight Procession, is rarely played, the waltz has remained a concert favorite, with its passion, sensuality and dramatics generating an emotional impact. The piece is a typical example of program music, taking for its program an episode from Faust, not by Goethe but by Nikolaus Lenau. The waltz was conceived as both an orchestra and a piano work. 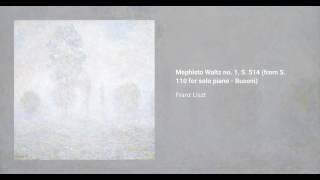 Three versions, orchestral (S.110/2), piano duet (S.599/2) and piano solo, (S.514), all date more or less from the same period (1859–62). 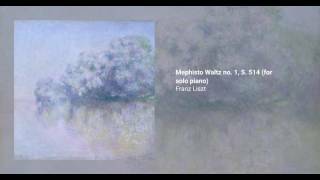 The piano duet version is a straightforward transcription of the orchestral version, while the solo piano version is an independent composition. Liszt dedicated the piece to Carl Tausig, his favourite pupil.